Fashion Designer Spotlite: Marishka Part II | Doll-Lite! How long does it take from start to finish on a typical outfit to create and complete? If I’ve got everything I need ready (fabrics, measurements, etc) it usually takes up to a week. How do you like to work best with a custom order for a client? With total freedom to create your vision, or do you like some feedback/interchange with a client who might have an idea or theme they would like to see realized? 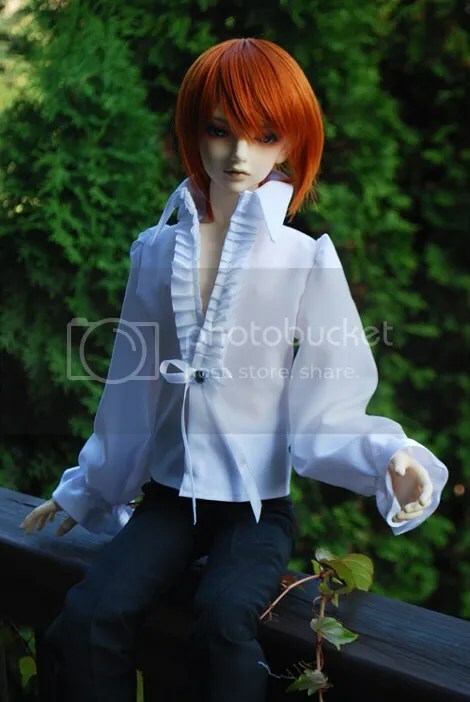 Are there fashions or styles you would like to make, but haven’t? Why haven’t you? 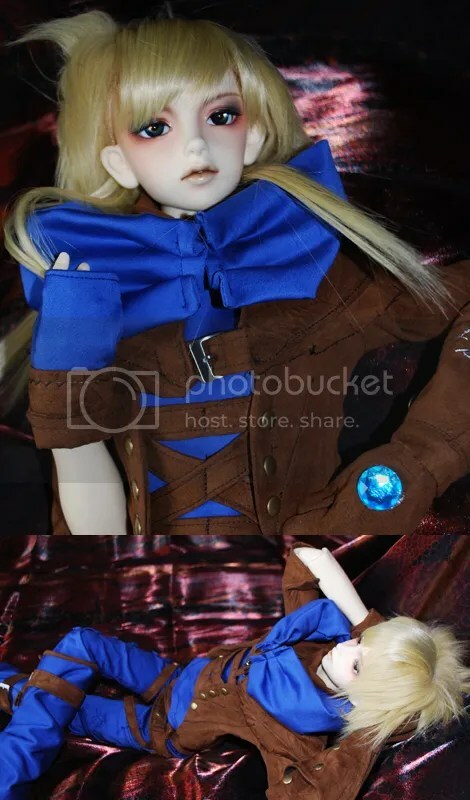 Armors for dolls (I tried only leather ones). But I’ll try, surely. How important are fashion trends to you (i.e. 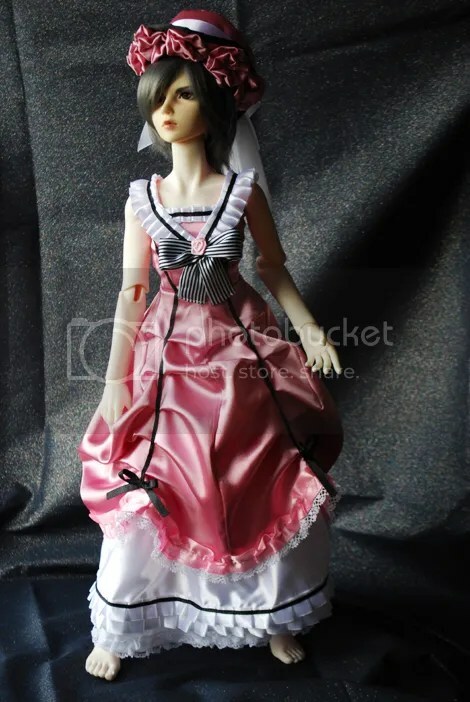 what is going on in real life/human wear) and to your doll clothing? Do other doll seamstresses or fashion trends on the board (or even on other boards, etc) influence you at all? I’m keeping my own pace. I’m not really that type of a person who spends long hours on the forums etc, looking for stuff. I prefer to peek at game designs for example than on doll – related sites (also because I don’t want to copy anything without thinking later). Sometimes I do, of course, but not very often. Do you take on commissions? If so have you ever turned down any? Are there certain commissions you like or dislike? I do, and sometimes I have to turn down commissions with impossible elements – a real life-like tiger head on the belt, a fabric so peculiar that I don’t stand a chance of finding it in any shop, etc. Tell us about your family. What do they think about your dolls and your business? They are not only fine with it, but they’re helping a LOT! I’ve got great parents, that’s why. I encouraged my mother to support Beyond Wonderland as a leading brand by her company Studio Tami, and since she’s great in sewing also, it’s a priceless help. How important is customer feedback? Have you had a lot of customer feedback in the past? Do you want more? If so, how would someone contact you? What are your newest projects (example new sizes, styles or lines) that you are working on? Four outfits for my humorously saying ‘family of goats and unicorns’ – two sets for Super Gem Soom male bodies (Heliot, Amber) , one for Soom Tennie Gem (Shale) and one for Tiny Gem (Ai). Are you working on anything that isn’t doll related that you want to share that you think would interest the readers (off topic, however, you think they would be interested in it, like human clothing line, an art show of your work, etc)? My cosplay outfits and photos, maybe? Over the years you’ve seen a lot of changes, both good and bad. 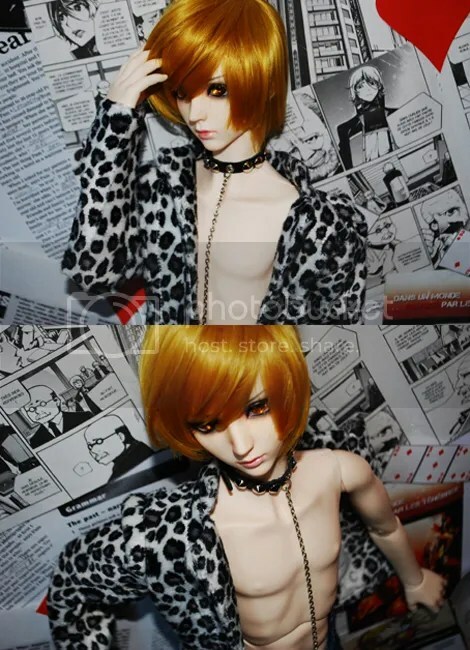 What do you think have been the best and worst changes in the doll community? Oh. I’m not really a person who participate in the community in that manner, or at least, not very intensively, so I guess I am in no position to comment on that. Are there projects that you wish you had more time to work on? Closing Comments (anything you’d like to tell us about you or about your business in general)? Thanks for the interview, Marishka!